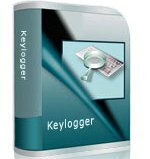 Remote key logger helps you to recollect passwords or mail id that have been forgotten or lost during system crash. - Stealth keylogger easily monitors keyboard typed activities including username, password, website URLs etc. - Invisible monitoring utility track all user data, files, folders with name, date, time and location. - Surveillance tool facilitates to run in hidden mode and is undetectable in Add/Remove Program list, System Startup, Shortcut icons on Desktop and Program folders. - Saves all chats history, E-mail addresses, visited website URL details in hidden password protected log files. - Provides option to deliver log file details at set time interval to user specified email address. - Facilitates to set Hot keys or Run command option so as to access keylogger software when running in stealth mode. - Key logger utility with graphical user interface (GUI) helps users to easily operate the software. - Parental monitoring tool can be easily understandable by the user itself without requiring any prior technical help.